AX Seashells Resort at Suncrest is set in a fabulous location luring guests to spend some quality time relaxing on the beach. The rooms in the hotel are elegantly designed and they are available in numerous styles to match the needs and tastes of all kinds of travellers. Guests also have the facility to conduct corporate as well as social events thanks to the hotel’s well-equipped halls with all the facilities. As the AX Seashells Resort at Suncrest is close to numerous attractions guests will have the opportunity to make the most of their holiday. The restaurants at the hotel offer some of the most delicious meals along with spectacular views of the sea! 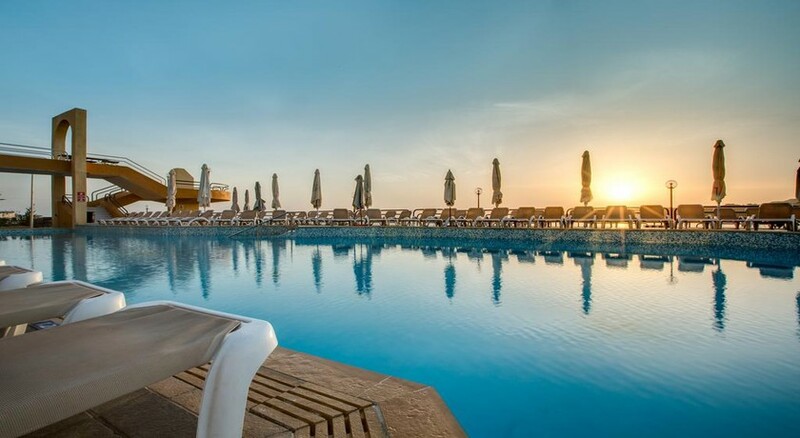 AX Seashells Resort at Suncrest is conveniently situated in Dawret il-Qawra, Malta. The beach is opposite the hotel. Those who want to satisfy their luxury shopping needs can head to the Point Shopping Mall, which is about 14km from the resort. The Malta International Airport is only 20km from the resort, making it convenient for guests to board their flights on time. The rooms in the resort reflect avant-grade furnishings with massive living areas and sofas, which will ultimately make your stay bright, airy and full of sun shine. They come in ten categories that include Economy/ Non-Balcony Room, Standard Inland Room, Standard Side Sea-View Room, Standard Sea-View Room, Deluxe Side Sea-View Room, Deluxe Sea-View Room, Suite Sea-View, Family Economy Room, Family Sea View Room and Presidential Suite. Some of the amenities common in all the rooms include flat screen TV, double bed, safety deposit box, tea & coffee making facilities, private balcony and much more. Guests who are staying in the Presidential Suite can have endless fun with their loved one in the private outdoor Jacuzzi. The hotel’s pool-side bar ensures that guests can have refreshing drinks without having to leave the pool area. Pop down a cocktail or a mocktail at the Cheeky Monkey Gastropub. In the interior section of the pub, you will find bright interiors and large number of comfortable seats-perfect to meet friends after a long day of fun in the sun or before heading to your suite for a nap. The Ambassador Lounge is the right place to be if you want to have drinks in a quiet and peaceful atmosphere. Those who are fond of Mediterranean delicacies can step into the Luzzu Restaurant. Or have a nice time with your family or friends with a delicious pizza at the Tal-Kaptan Restaurant. 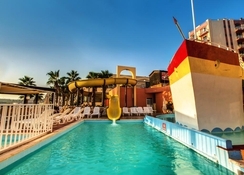 Seashells Resort at Suncrest is a magical destination that has so much to offer in terms of sports and recreation that you will definitely find something exciting. There is an outdoor swimming pool, where you can soak up the sun, while having refreshing drinks on the sun loungers. Those who want to stay in shape can utilise the fitness centre with professional trainers, while your children can have a lot of fun in the children pool and play area. Guest can relax and avail pleasurable massages in the Carisma Spa & Wellness. Other than this, the hotel provides cycling and scuba diving facilities. we have been 6 times to the same hotel, great staff, clean rooms and with recent overhaul, the place even looks better, food ok, buffet style, so not always best. Hotel was in an ideal situation. The standard and choice of food was very good. Room good size and nice sea view. Very happy with our stay there.